The meadows will be open from 10.30 am to 4.30 pm. 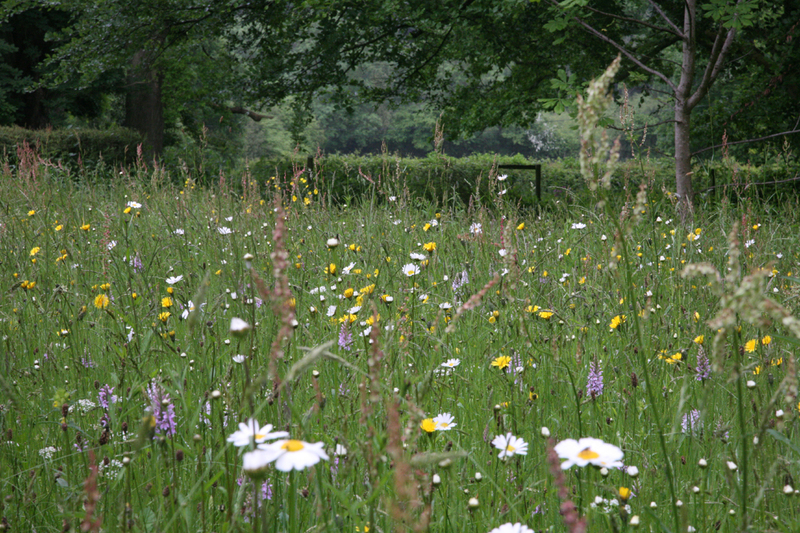 Access is free but we welcome donations to our Kingcoed Meadows Appeal. We are very grateful to our hosts for allowing us access and making us welcome on their land. Ty Mawr Convent (NP25 4RN) can be found from the Monmouth to Trellech road where it is signposted from the junction towards the Whitebrook valley but take the left fork. Continue along the lane for ½ mile and the convent is signposted on the right. Alternatively from Penallt, go back towards the Trellech to Monmouth road but take the first turn from the village crossroads to the left. Where this minor road is joined by another road, continue for a few yards and bear right. The Convent is about ½ mile along on the left. Park in the Convent grounds. Four Acres, Maryland (NP25 4QJ), from the centre of Trellech follow the signpost to the Narth. After the turning to Beacon Hill there is a second right turn signposted to Maryland. Turn right here and continue along this lane for 250 metres. The meadows are on the left hand side with a driveway with dry-stone walls on either side. High Springs (NP25 4JQ) is on the road from Mitchel Troy Common heading south east up towards the hill at the top (Craig y Dorth). The fields are on the left as you go up the road up to the hill (the house is on right).